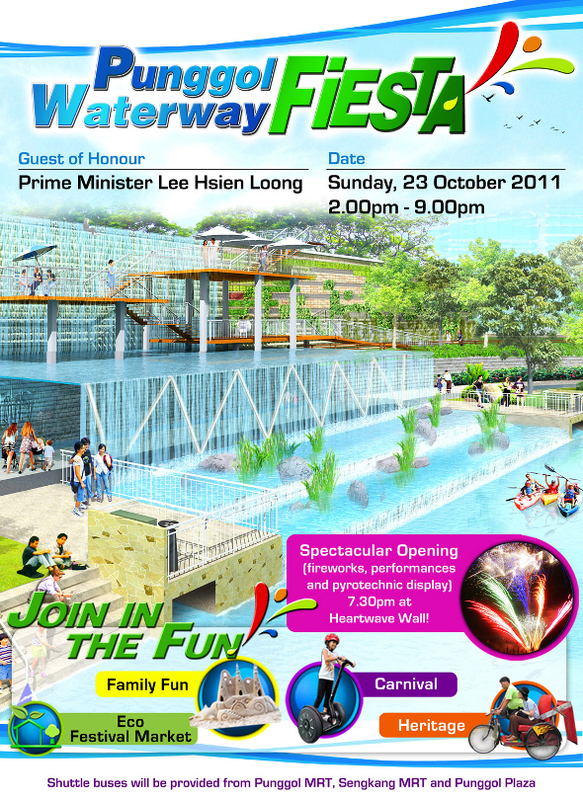 Eco Event: Punggol Waterway Fiesta! Kanga Organics is heading out again! This time, bigger and better! The event is the official opening of the 4.2km Punggol Waterway, a defining feature for HDB’s newest town of Punggol. Punggol is Singapore’s first Eco-Town and the opening event is similarly themed to emphasize eco-living and healthy lifestyle. The event is an all-day long affair scheduled to be on 23 October 2011, Sunday. Here are some details about the event to mark down on your calendar to find us there! The event is hosted in a waterfront environment along the newly completed Punggol Waterway. So, don’t fret about what you will be doing with your family on 23 Oct, Sunday! Head on down to Punggol Waterway to grab some super affordable organic skin care, body care products, organic gifts, Nature bags, and eco-friendly household cleaning products for yourself, your family and friends from Kanga Organics booth! See you there! PS: If you wish to pre-order and collect your items from our booth on event day, do send in pre-orders by 21 Oct 2011, Friday 9pm.